Spotted on catwalks, the mule trend did not take long to reach our feet. To wear with a long jumpsuit or a skort for a charming boyish look. 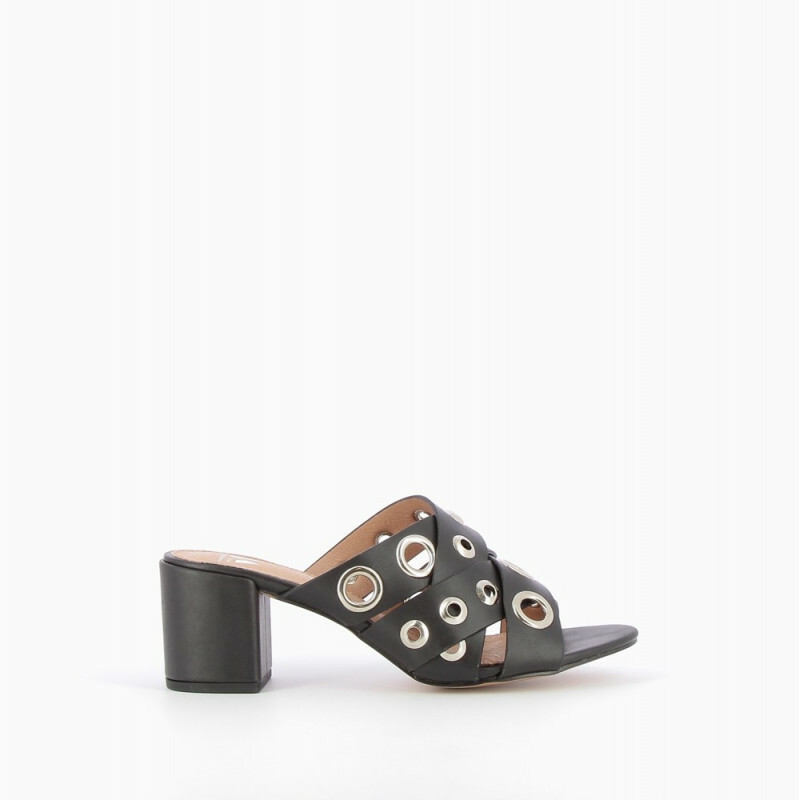 Black leather effect mules with cross over straps, decorated with metal eyelets. 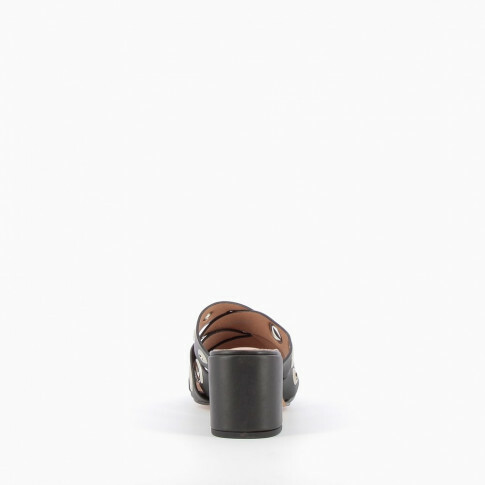 Coated square heel.